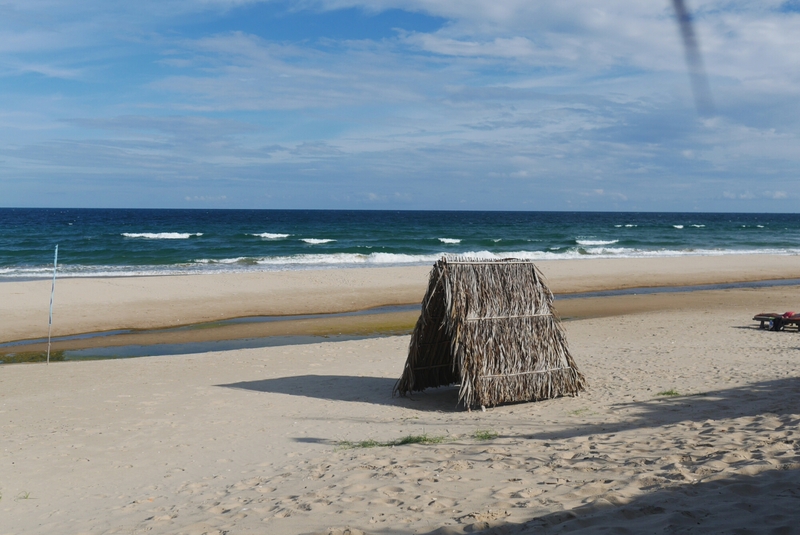 This morning I set on the 200 kilometer slog to my next goal along the way north, the small beach town Mui Ne. 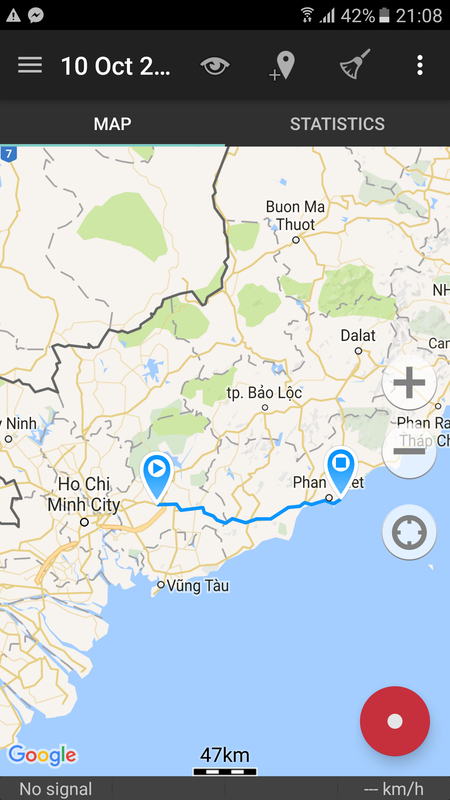 Geting out of Ho Chi Minh city was hell, first I got lost and when I finally found the way it turned out to be a highway where motorbikes can’t go so I had to find a way around. 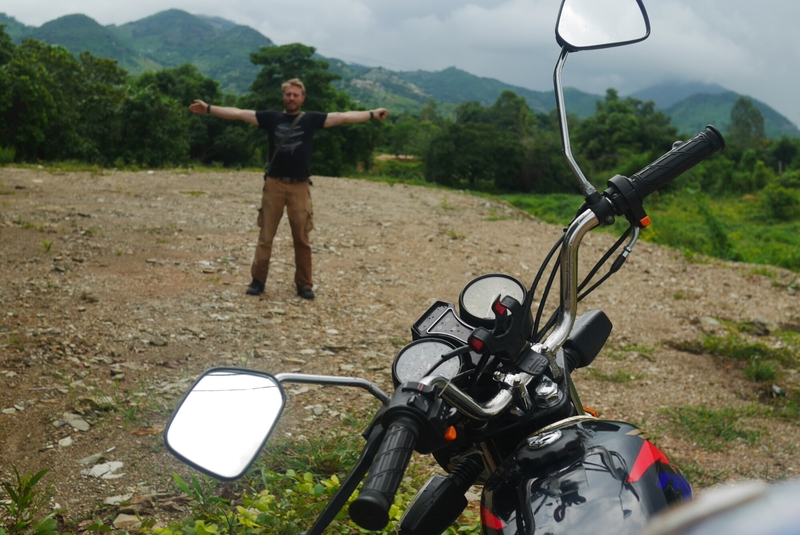 Once I got out on the main road though, things got better and by the afternoon I was riding through lush landscapes with mountains in the far distance. 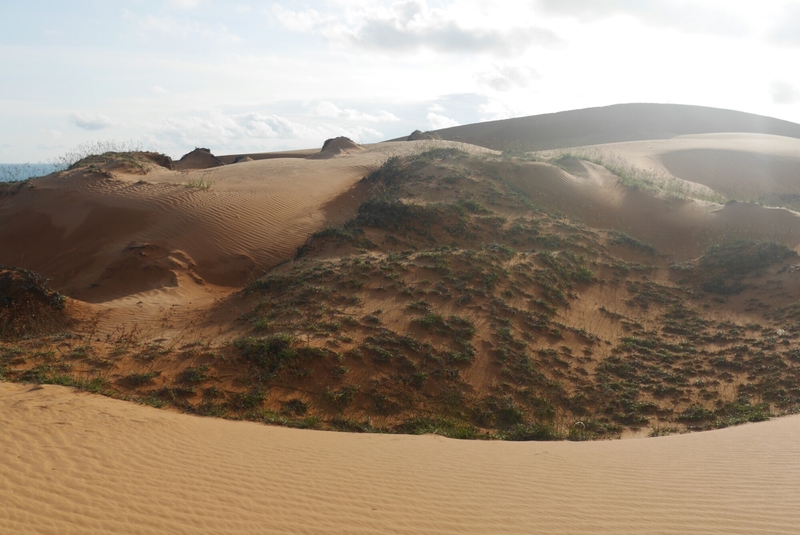 Sometime around three o’clock I was getting closer to Mui Ne and the landscape opened up, with rolling hills in different shades of green, with patches of yellow and orange sand here and there. 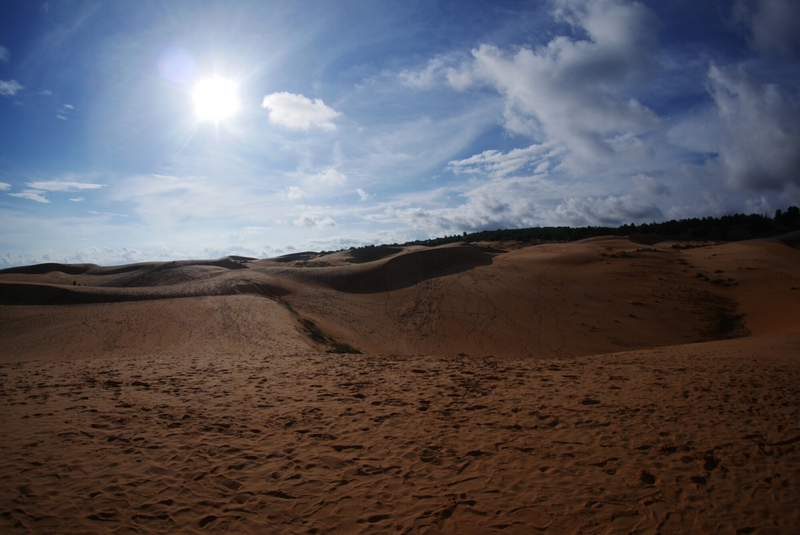 The road, following the undulating of the sand dunes as the hills turned out to be, became a veritable roller coaster. 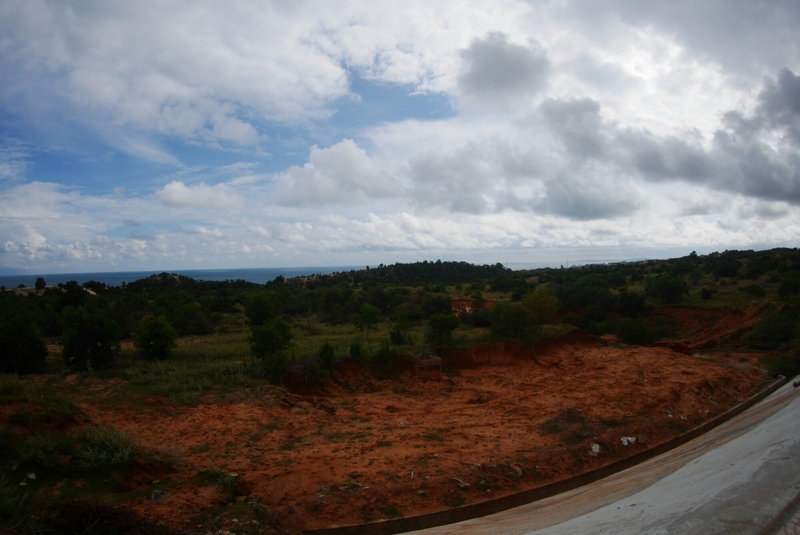 For the highway out of the city you could just as well take a bus, but this kind of road is the reason you go by motorbike. 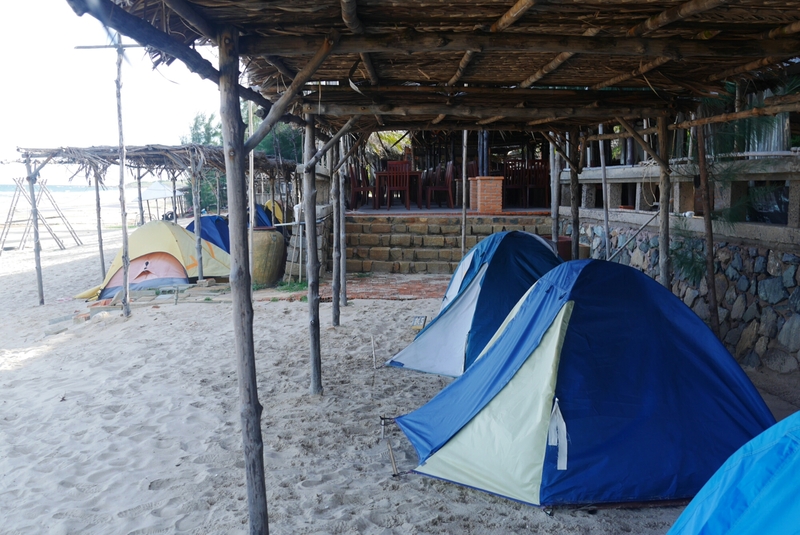 I found the beach resort where I’m staying the night, offloaded my stuff then headed out for some sightseeing. 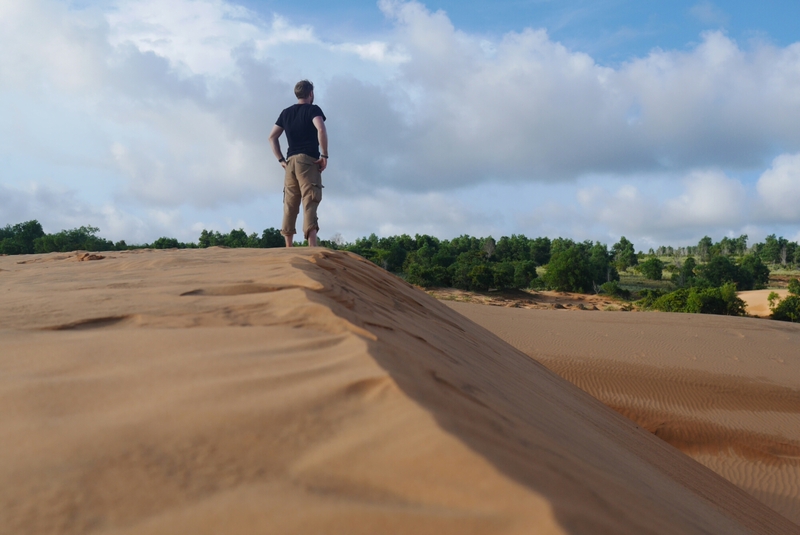 Except for the beach, Mui Ne is famous for the sand dunes so I went there and spent the rest of the afternoon playing around in the sand. 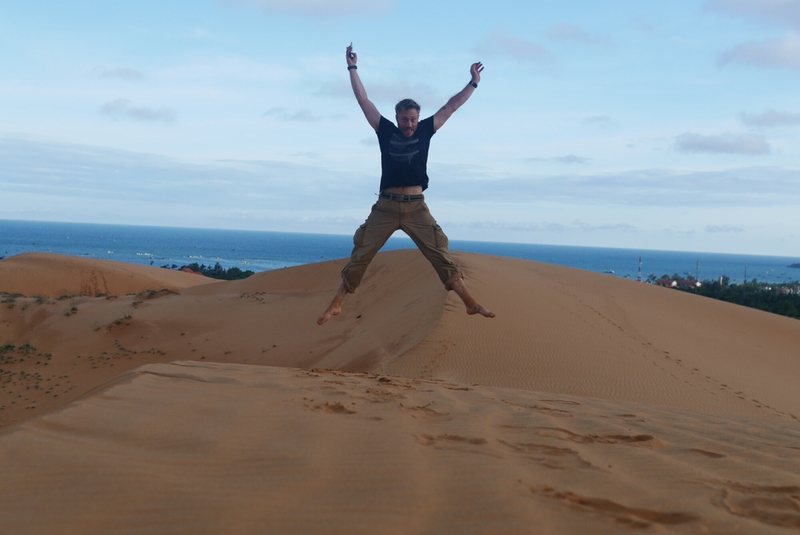 I even tried the sand sleds that the little kids want you to rent, it was ok but proper snow sleds are much more fun. 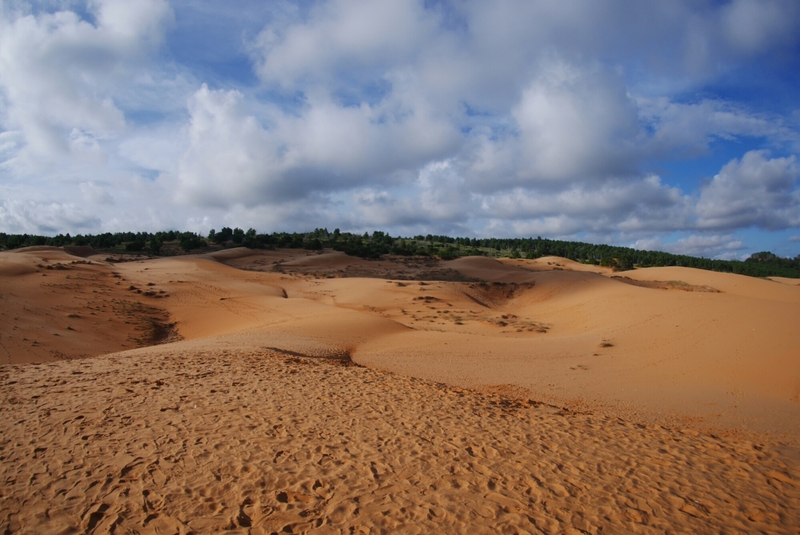 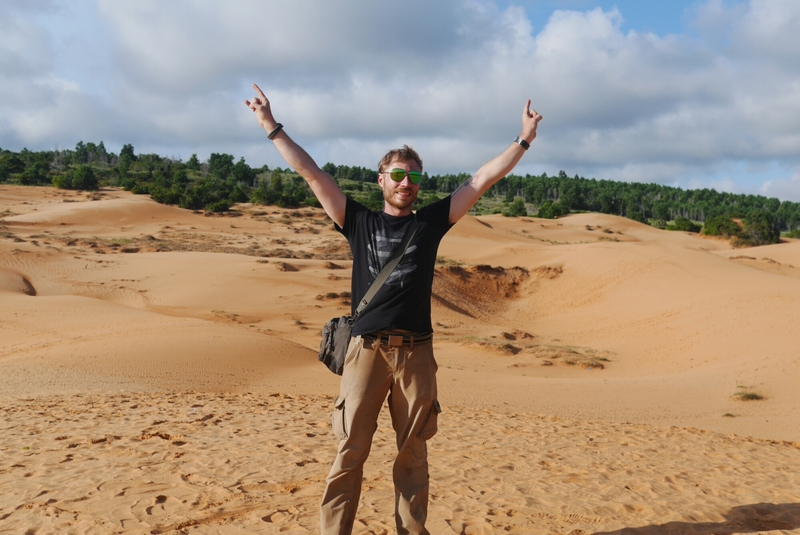 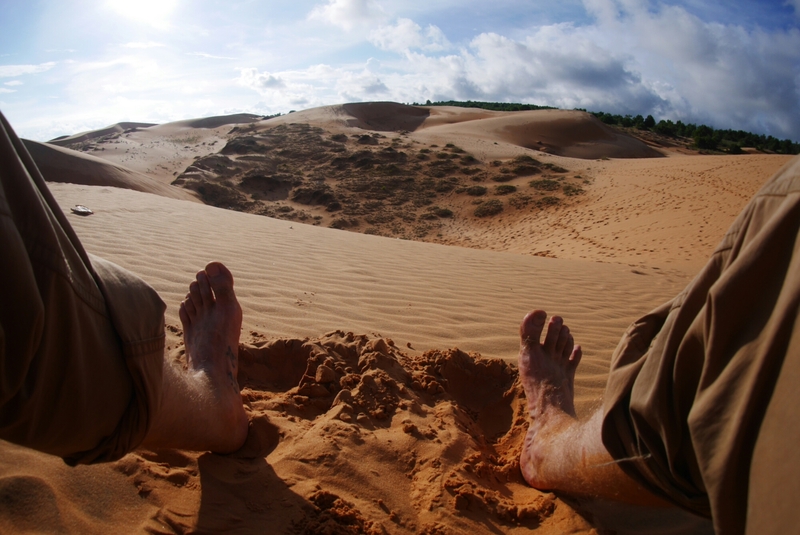 The dunes are, as far as I understand, very different from the rest of Vietnam and definitely worth a visit in my opinion. 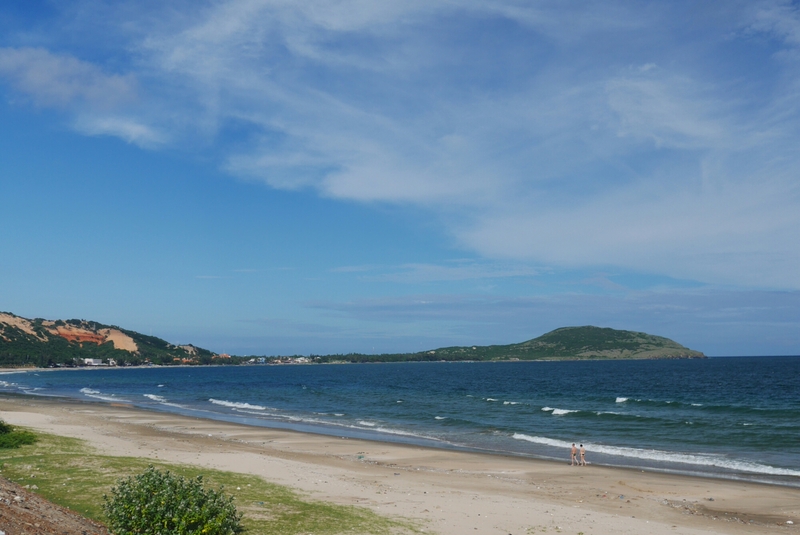 The beaches in Mui Ne also look very nice but I didn’t have time to go for a swim.